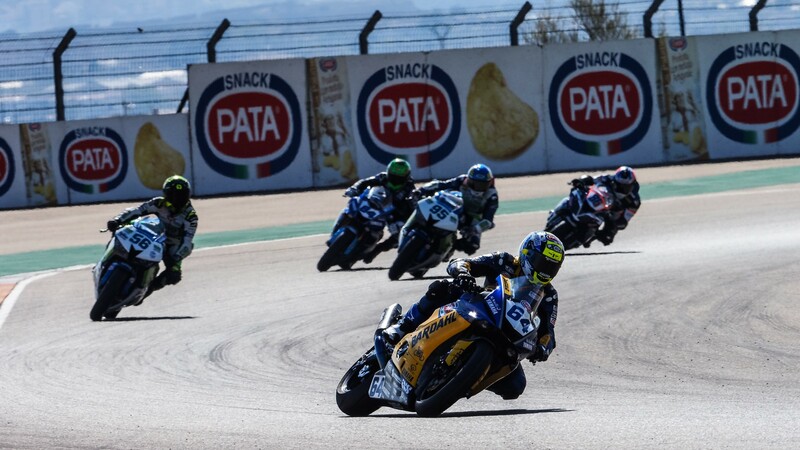 After making a successful return from a broken right arm at the Pirelli Thai Round, Rob Hartog (Team Hartog – Against Cancer) was set to fight for some more valuable points this weekend at the Motocard Aragon Round. However, the Dutchman has suffered another setback in the form of an injury to his left wrist, which will rule him out for the rest of the weekend. This injury did not occur at the Spanish circuit but at Phillip Island, in the same crash that originally injured the Dutchman’s right arm. 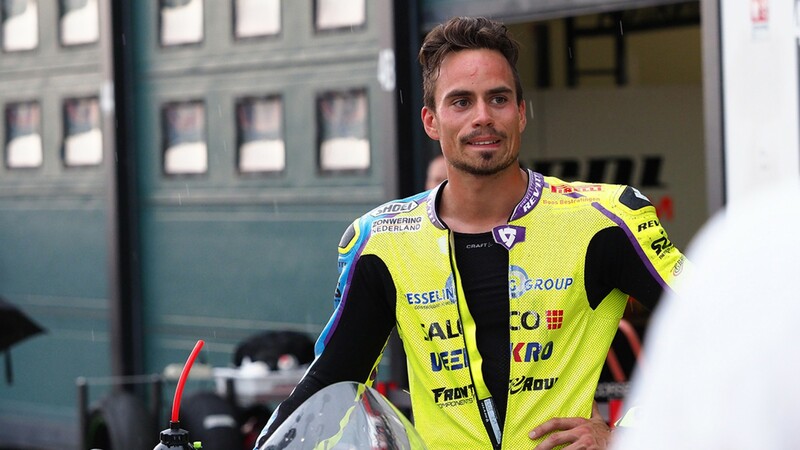 However, original examinations did not show any major damage to his left side, and despite some discomfort the rider was able to return in Thailand. “To be clear, in Australia I broke my right arm, so it’s a different injury, but it happened at the same moment in Australia”, Hartog explains. “At that time, I already felt some pain in the left wrist and I had an X-ray, but they couldn’t see anything. So, we did the surgery on the right arm and just let the left wrist get some rest and recover”. 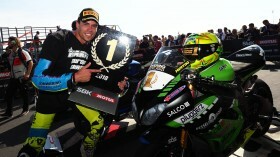 He continues: “We got to ride with it in Thailand and it didn’t go so badly that weekend. I still felt some pain, but it was alright, I could do the weekend. But now the pain is higher than in Thailand”. After setting the tenth fastest time in FP1 today, Hartog underwent further examinations to determine the exact nature of his wrist pain. “After visiting the clinic after the first free practice they made an extra X-ray, and then they saw the scaphoid was fractured. That’s why they declared me unfit for this weekend”. Hartog is scheduled to have surgery to repair the fractured scaphoid tomorrow in Barcelona with Dr. Mir, with the hope that any rehab time will be brief enough to allow the Kawasaki rider to compete next week at his home track of Assen. The 27-year-old remains optimistic: “Nobody says it’s impossible, just that I’ll have to wait and see how the rehab goes. I think next week we’ll know some more. It depends on how it goes in the surgery and how it feels the week after. I hope for the best”. Follow all the action from the Motorcard Aragon Round and next week’s Motul Dutch Round with WorldSBK VideoPass.